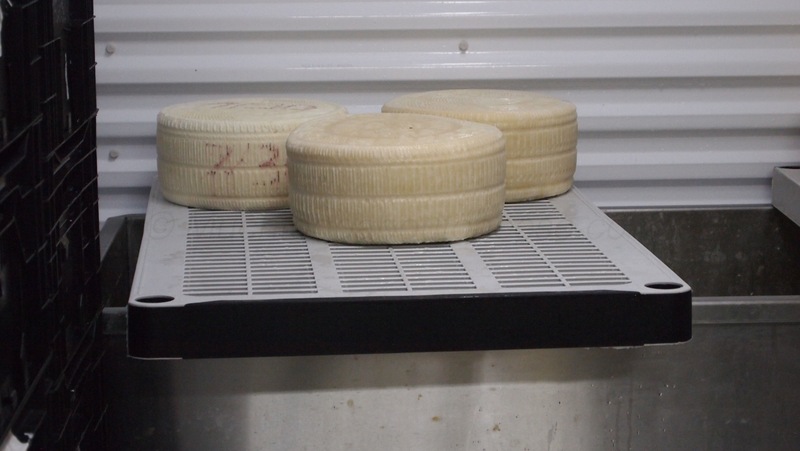 There are several cheese producers in my home province of Alberta, there are a few that produce cow and goat milk cheese; but only one that I know of that produces wonderful sheep milk cheeses. The Cheesiry was started in 2009 in Kitscoty Alberta, (200 km east of Edmonton) by Rhonda Headon, using the milk from her flock of grass-fed East-Friesian sheep. I had spoken with Rhonda a few times “online” and over the phone and once in person, but it was time I made the trek out to Kitscoty and for a visit. After all I had bought her cheese before, it would be rude not to visit. So with my friend Addie behind the wheel we left Edmonton and headed out on the open road for an Alberta Cheese Adventure. We arrived at the farm just in time for the pressing stage of the day’s cheese making, Rhonda was nice enough to invite us into the cheese making room to see the process. We donned our proper cheese shoes and headed in armed with curiosity, a love of all things cheese and my camera. 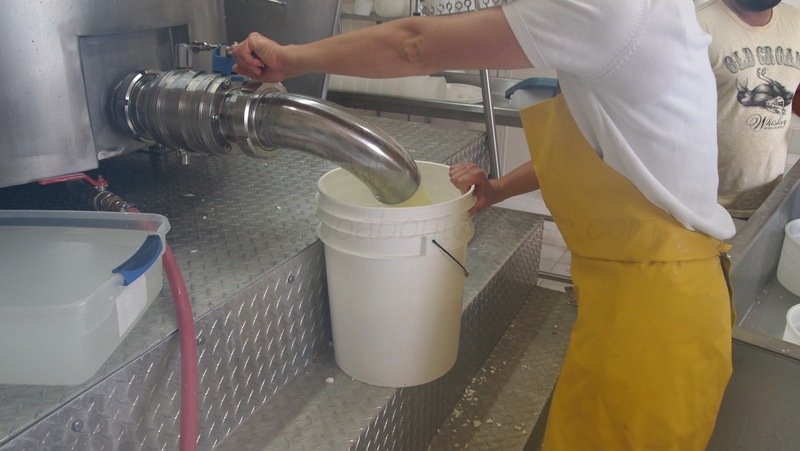 Rhonda loading up a 5 gallon bucket with curds and whey. Now to me, pressing means putting curd into moulds and then putting in the press and walking away. I honestly thought this was what were going to see, boy was I wrong. 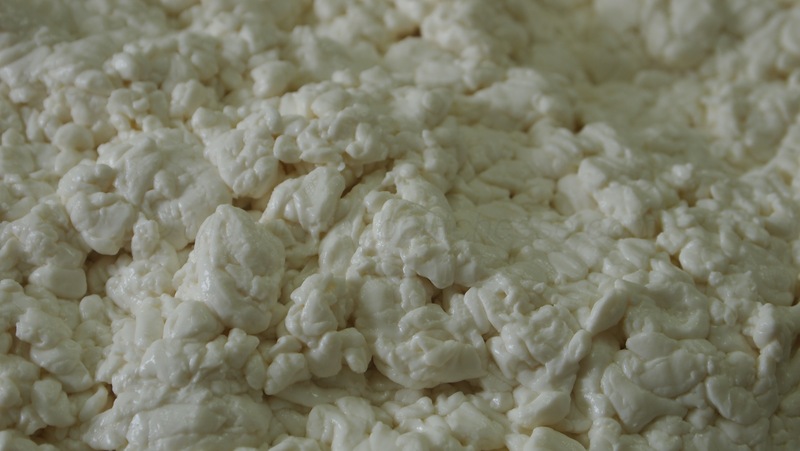 Curds from ewe’s milk react differently than cow or goat curds, they will knit together easier and very little pressing is needed. The 500 L vat is raised above the make room floor so gravity helps to drain the vat. 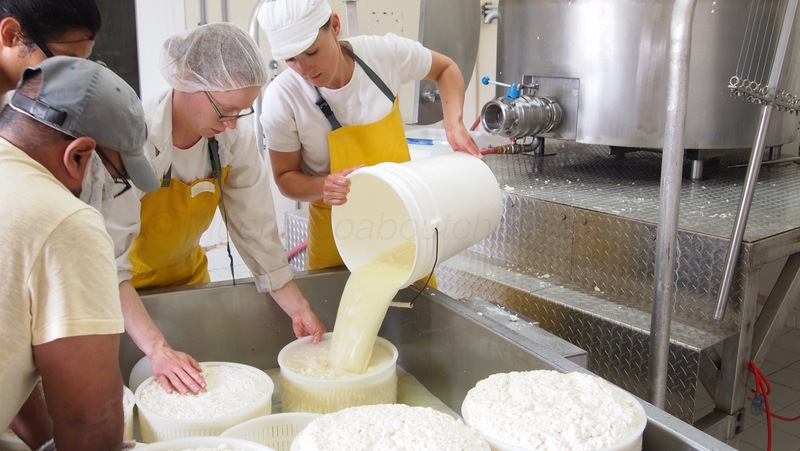 Rhonda’s helpers “press the curd down in the moulds so that they can put as much in as possible. There was this sweet lactic smell in the air, the sound of draining whey calling to us “scrub up and help!” The siren call of the curds was too much for Addie! 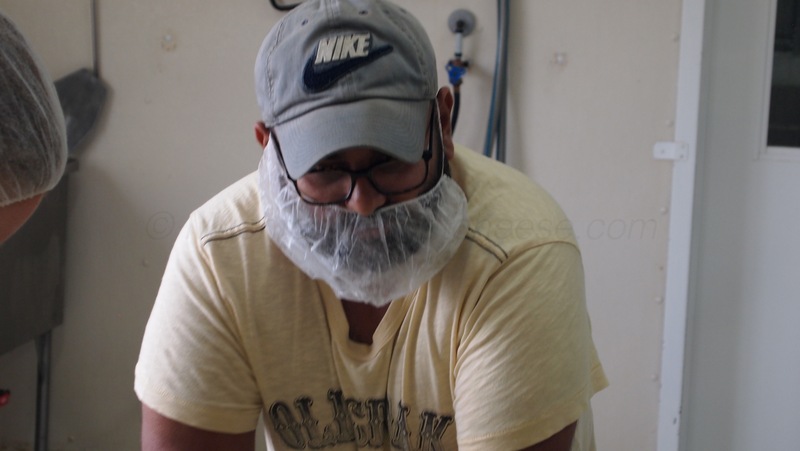 He scrubbed up, donned the ceremonial beard netting and got to work pressing the curds into the moulds. Wearing the ceremonial beard net is the only way to answer the call of the curds! It was pretty hard not to get “hands-on” but I wanted some pictures from this trip. 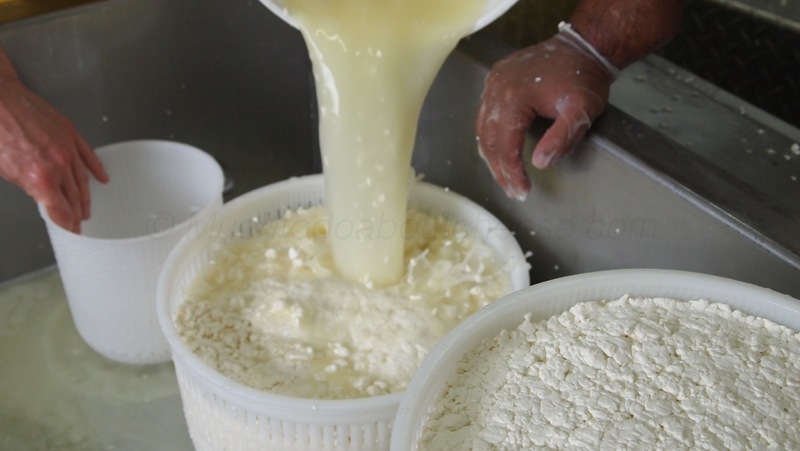 It was hard to resist not diving in to help with these curds. To watch the process was like watching a precision drill team, even adding an “outsider” to the mix there was a set rhythm that never faltered. The only pressing in a traditional sense came in the form of stacking the baskets. Just look at the colour of that whey! After about 15 minutes it was time to flip the cheeses. I was in awe at how well the rind had knitted together. Just look at the way the curd knitted together. 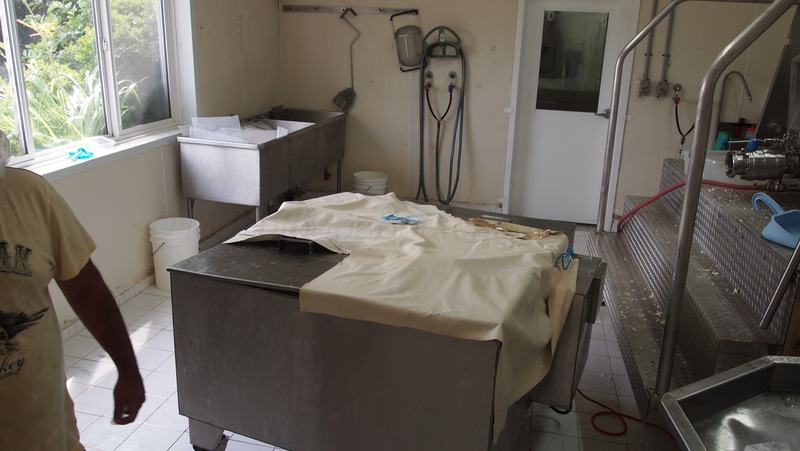 The draining table was designed to allow whey to drain and to be used as a warming/incubator box as well. 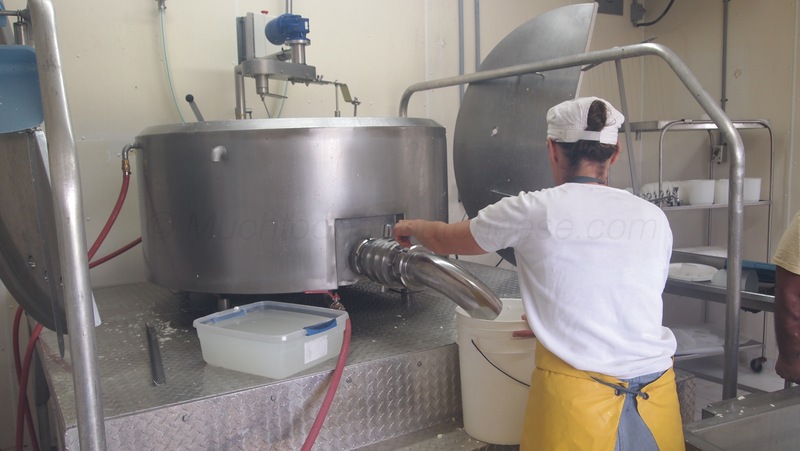 Lids would be put on and to keep the curds warm and then the cheese would be flipped at a certain interval over the next hour and then left to finish knitting together until it was time to visit the brine tank. 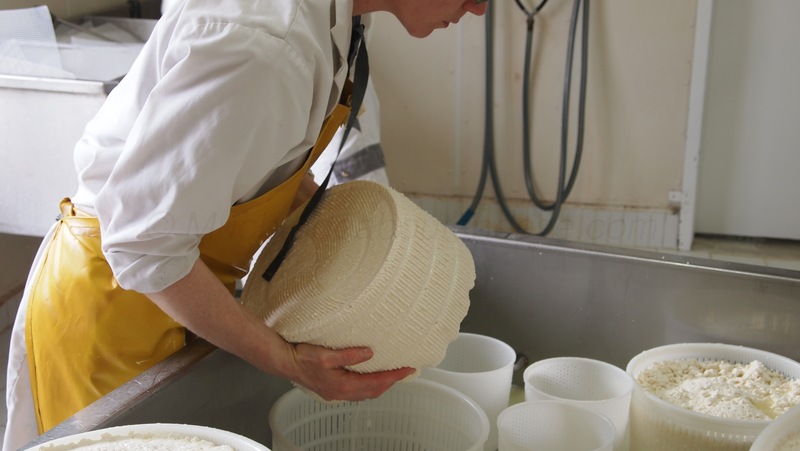 The lids have been put on and they use aprons to over any gaps while the cheese settles in the moulds. The finished setup ready to be plugged in to keep it warm. 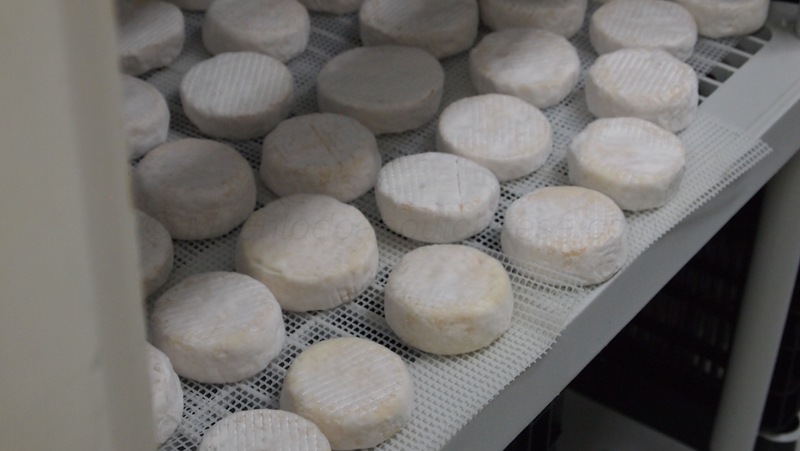 After the infant Pecorino were tucked away it was time to head into the aging rooms to take a peak at some of the previous batches. Here Ronda is showing us a 5-year-old Pecorino. She has let the rind go wild and uses it as an incubator cheese. It gets moved from self to shelf to help the good mould get around the room. 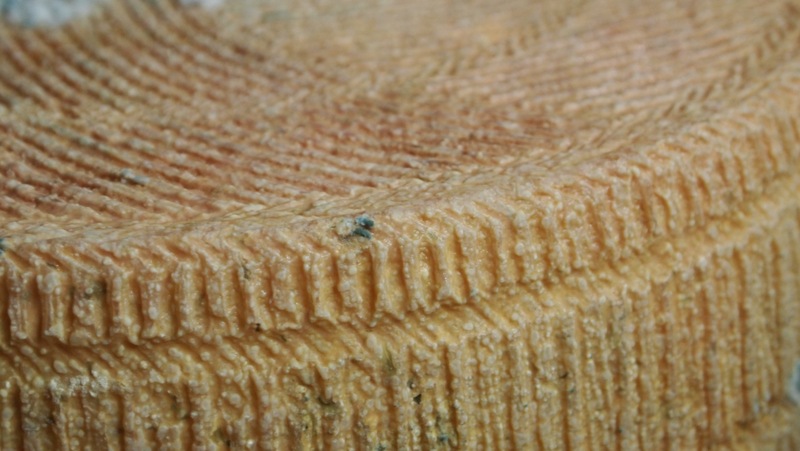 The Cheesiry’s Pecorino are all natural rind cheese. The colour comes from what her ewes are eating. One of the unique things about the Cheesiry is their farm store called the “Boutique”. Set about 10 feet from the cheese making room it has a great atmosphere that combines the knowledge that you are in part of the barn with an almost cafe/small pub setting. You can buy a variety of Cheesiry Pecorino, Feta, La Bianca, Fresco (Similar to a Chèvre but with ewe’s milk) and some lamb meat products as well. Rhonda had invited Addie and I to have lunch with her in the Boutique where we were treated to a lovely lunch that included cheese and some of lamb salami on french bread. It was a great way to cap off the visit, great food, great conversation with great company. We sampled the “La Bianca” for the first time. I was very impressed with the flavour. 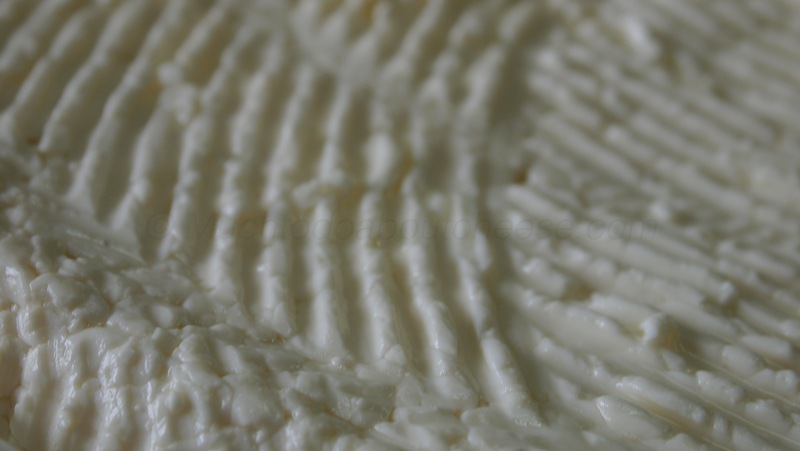 A wonderful Camembert Style cheese. The aroma was of mushroom and earthiness. The flavour was a perfect mix of salt and lactic sweetness along with the distinctive flavour of the ewe’s milk. 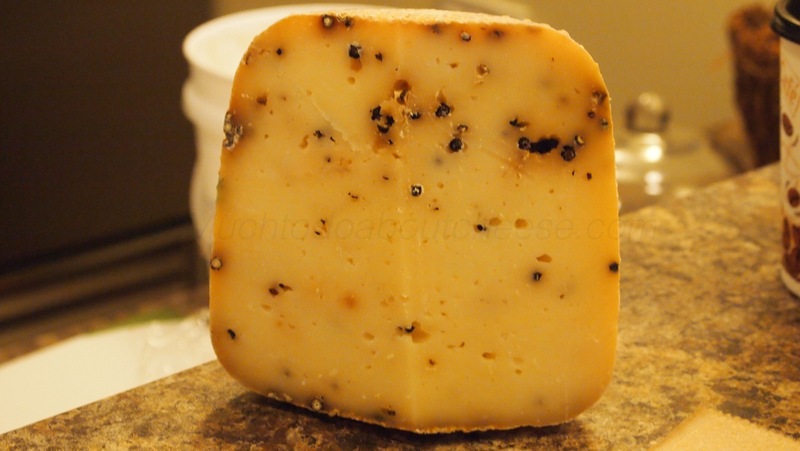 We also sampled the Peppercorn Pecorino and I have to say I am sold. I usually loath any cheese with bits of this and bits of that in the paste, but I was sold on the this cheese. Even if you did not get a piece with a peppercorn in it, the pepper flavour was throughout the cheese. Not in your face or overwhelming, but a nice subtle flavour. It was a great trip and I highly recommend that anyone who is serious about cheese and want to see how it is made, make the effort to visit the farm. I do, out of courtesy, suggest you contact them to see if it is a cheese making day and that way they can be ready for the visit. 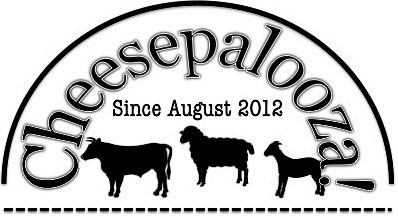 You can find out how to contact The Cheesiry, or where you can get their cheese, via their website here. As usual I have more pictures and they will be up on the Facebook Page later in the week. There are a lot so please bear with me. ← The “Beaufort” That Waited…No More! 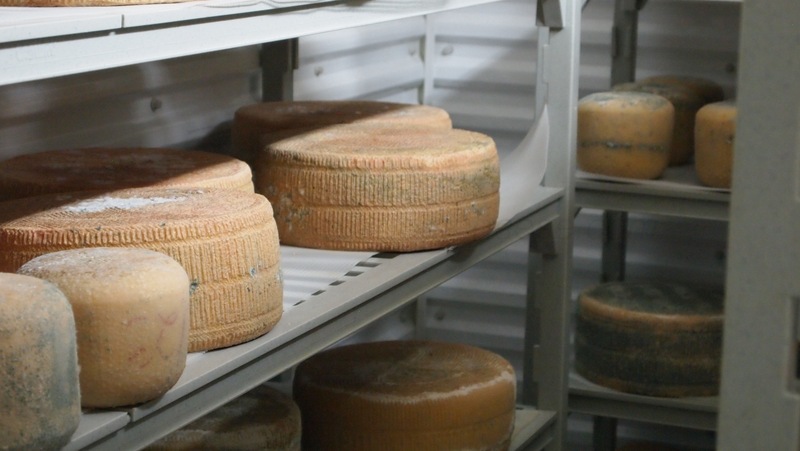 This is fascinating, especially the bit about the incubator cheese. Great post! Thank you. It was a great trip, I really wanted to try the 5 yr old Pecorino, but that would have eliminated one of the incubator cheeses. 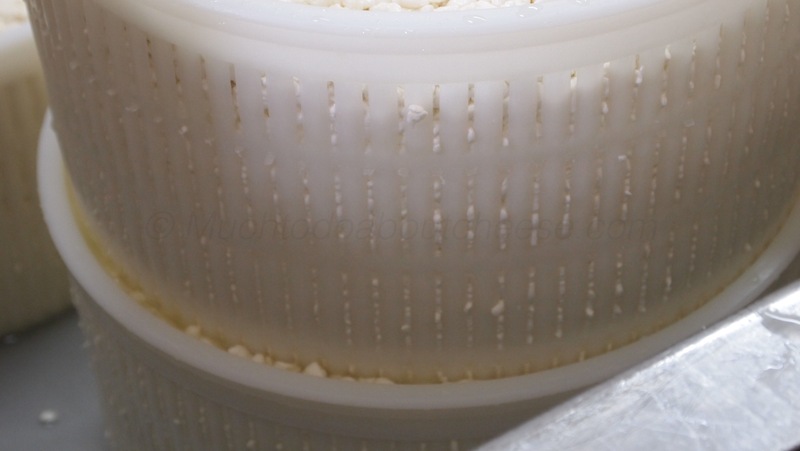 Pecorino is on of my favourites and I’d like to try to make some. We missed the first part, cultures and rennet, but the moulding was very informative. 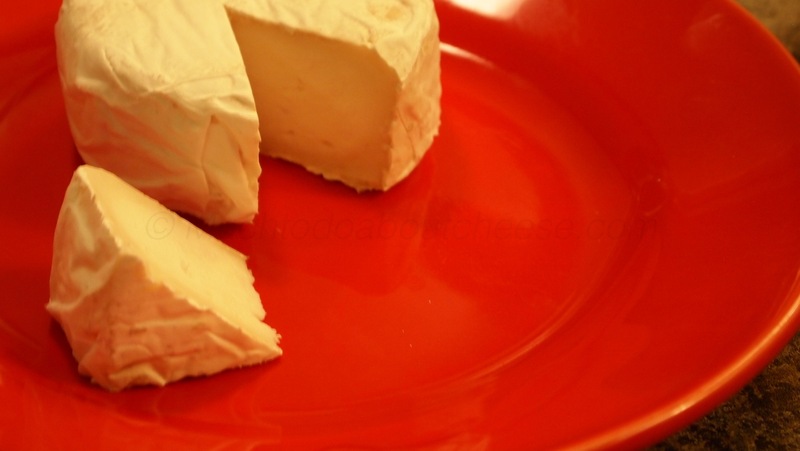 Do you have access to sheep milk? I’m not sure, I haven’t found yet but I’m still looking!